On the afternoon of Saturday 26th January, 112 people were arrested during and after the white marches organised by the MRC (Mouvement pour la renaissance du Cameroun). 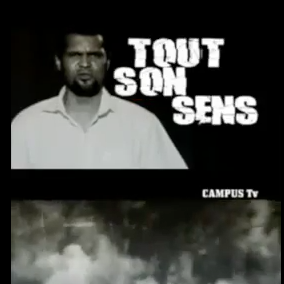 The demonstrations were simultaneously held in Douala, Yaoundé, Bafoussam, Dschang, London, Berlin, Brussels and Paris. Among those arrested were Paul Eric Kingue and activist Général Valsero. Valsero was on his way home when he was apprehended. Under the slogan NO TO HOLDUP! the MRC, the political opposition party of Maurice Kamto, has proposed the NPR (National Resistance Plan). 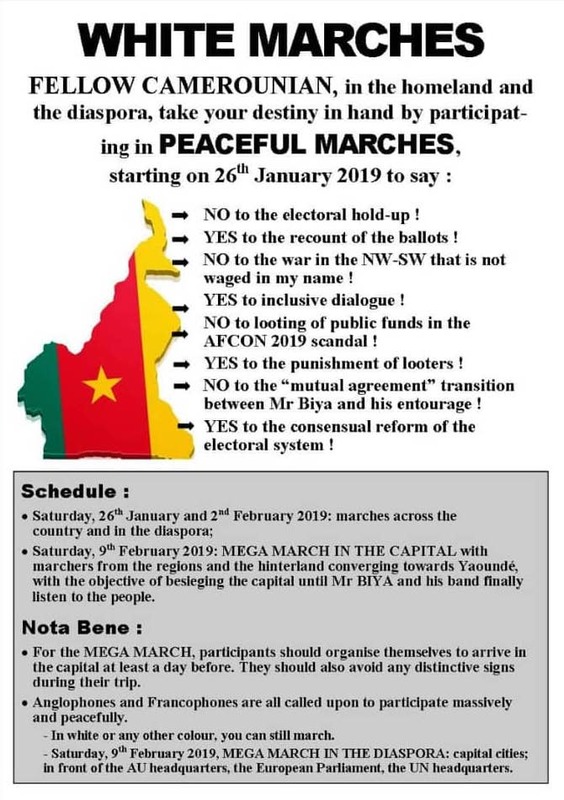 Its aim is to mobilise both Cameroonians living in Cameroon as well as those in the diaspora to peaceful “white marches” (marches blanches), in the hope of appealing to recount the votes of the presidential elections of October 2018, the return of peace in the Anglophone regions and the reconsideration by the CAN (Cup of African Nations) to have the games be held in Cameroon. The minister of Internal Affairs, Paul Atanga Nji sees these protest organised as an act of provocation, in which the MRC has “crossed the line of decency to which all political parties within a coalition should adhere to”. Antanga Nji has called the demonstrations illegal and dangerous to the public order. In this light the minister is giving Kamto an ultimatum to either adhere to the laws of the republic or to see his political party disbanded. This does not bode well for the coalition, which was largely built around the MRC.